My school is planning to have a “Getting ready for Kindergarten” night at school for parents in May. We want to offer ideas of how they can prepare their child for starting school. I am looking for any ideas, resources, advice on how to organize and what to include. Teach their children how to write their name!!!! Tell them to let them practice using scissors. Watch leapfrog letter factory to learn letters and sounds. Give out booklets of handwriting paper and examples of letter formation. Give out number and letter flash cards. Also talk about the importance of practice. Finally, give them sight word cards! We did this last year and our kids came in HIGH! Teach their children nursery rhymes – great phonemic readiness and literary classics in a child’s world. i’ve always wanted to get a grant to give every incoming student a great nursery rhyme book. We always have number and letter flash cards prepared. However, the best advice my colleague gives parents is for parents to teach their kids how to lose-gracefully. Many times kids have never lost a game in their life so it’s a good skill to develop before the first day of K.
We did one and had different classrooms set up with different speakers. They stayed in each room for 15 minutes. Topics were social/emotional, a day in kindergarten, math, and language arts, When the parents were done they picked up our kids from the library and they got to have their picture taken with Santa. Slide show presentation. Question/answer time. Kids go through lunch line to get the experience and we have snacks for them. And at the end we allow parents to go see 2 of our classrooms. Wish we did this… Do you have a good turn out? Thank you!!! These are all great comments! We have never done this before but think it would be very beneficial. Knowledge is power-right? We do this each spring for the families that are new to our school and/ or new to kindergarten (others are welcome as well). We share school policies, procedures for lunch & dismissal and break into groups to take a tour of school. We share information and answer questions as they come up. We share pictures of current students and share expectations for the end of 1st quarter. For over the summer, we emphasize reading to your child, talking about books, sharing experiences and talking about those experiences to build oral language. Our school has a Kindergarten round- up theme every Spring and each teacher teaches a mini lesson in phonics, math, and Bible. We also have a slideshow presentation of a day in the life of a kindergartener. I like the idea of sharing practical life skills for them to work on during the summer too!! I’ve pinned several things to my Pinterest board to remind me what all I want to cover in the fall. Tell them to help their child become confident by learning to do things on their own (tie shoes, pack backpack, etc). I, too, was going to say introduce them to some of the standards. Parents really have no idea how hard kindergarten requirements have become. We give out a brochure with readiness skills for K. We also give the parents a survey to give to their child’s preschool teacher which the teacher then mails back to us to give us a snapshot of the child’s experiences in preschool. Along with a summer screening, we use those to help us form our class lists for the new year. Know how to spell name, now the alphabet out of order, tie shoes, etc. parents have no idea how much work kindergarten is now! Everybody has great input. I will also add that we go through very thoroughly how students will be dismissed to their buses. we also have parents who are very concerned about how their child will know how to get on the correct bus or out the correct door. I have been teaching kindergarten for 20 plus years . . . I just feel like it is my job to take each child where he is at and go from there . . . I hate thinking that children are behind in kindergarten. My kids make so much progress during the year and I am proud of all of them! 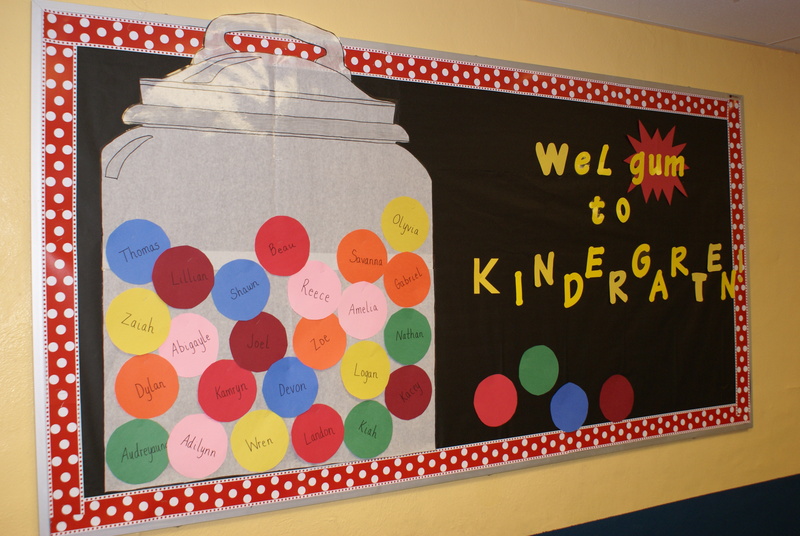 Kindergarten used to be a starting point, and I still think that is the best way to start the year. I make this presentation every spring. Everything you always wanted to know about Kindergarten; 6:30, in the library; childcare is provided by our Pre-K and local Head Start staff at their respective sites.